Replicel tweeted to have first minimally invasive surgery! 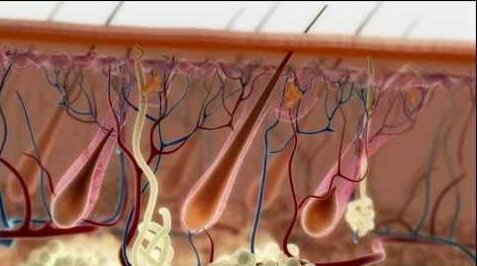 Replicel tweeted today…“We have developed a treatment for pattern baldness which has the potential to become the first minimally invasive solution for hair loss”. However, no pictures! Are the looking more money? Hard to tell! Are the looking more money? Hard to tell! Money always helps but in their case, they might have all the preliminary funding they need already. According to the Feb 2016 Fact Sheet posted on their site, Shiseido is committed to paying for all the manufacturing, clinical and commercialization costs. In addition to the $31M in milestone payments plus sales royalties which Shiseido has agreed to pay RepliCel for its license of RCH-01, Shiseido is committed to paying all manufacturing, clinical, and commercialization costs in their territories. Shiseido has built a manufacturing facility in Japan for this product, successfully transferred manufacturing into that facility, and is now preparing to launch its own clinical trial of RCH-01 in Japan. Shiseido and RepliCel collaboratively share all research, product optimization, and clinical data to ensure a single product is being developed globally for the treatment of pattern baldness"
I’m looking at their Facebook page and they say nothing about “surgery”. I think they’re referring to the cell-based HM procedure we all know about already. No pictures because there’s no news on it. I am sure they are referring to the punch biopsy that is discussed in the video, not like a full blown hair transplant surgery but there will be scars. I just hope only 1 punch biopsy is needed and not multiple. Below is a screen shot taken from one of Replicel/Shisedo’s videos. This could potentially be the size of the punch biopsy that Replicel needs to extract. The title is “Shiseido Talks RepliCel Technology - Part 1 (in Japanese)” and is available on Youtube. I hope I am wrong but I don’t think Replicel would struggle for funding like they do if this product was the real deal. Imho Dr Tsiju in Japan is looking more likely for the major breakthrough. The size of the punch biopsy is huge, much larger than I thought it would be. 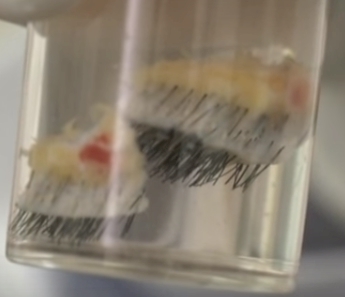 I thought they only needed to remove a few hair follicles in order to multiply the cells. I think for a punch size this big, we will need FUE to repair the scar in the donor afterwards. It looks big for a biopsy but small enough that can be easily repaired with 30 or fewer FUE grafts, a very small price to pay if Replicel really works. It will make a lot of sense for Replicel to be offered at FUE clinics so that the same clinic can also repair the scar afterwards all under the same roof. The punch biopsy grafts in the screen-shot from Replicel’s video are actually not as big as they appear. They appear to be magnified several-fold in that picture. The best way to assess their size is by making a rough count of the number of hairs from one end to another. I’m getting about 30, or something like 30 hair shafts X 3-5 hair shafts. That is actually not a lot. Those shots are magnified a lot. Superhl’s original post in this thread, and the subject line of the thread – “Replicel tweeted to have first minimally invasive surgery!” – are very misleading. Superhl misinterpreted the subject of Replicel’s tweet. Superhl has been on HairSite a long time, and he knows that Replicel has been developing an HM protocol using a type of DP cells (DSC Cells), for years. I think Superhl read something else into Replicel’s tweet – that they have developed a new kind of minimally-invasive “surgery”, separate from their HM venture. No, that is not the case. This is just the same old HM procedure, that Replicel is tweeting about again. Replicel is trying to create a buzz, so every once in a while they make a new tweet, new press release, or new Facebook post about their HM procedure – but it’s really all about the same procedure that they’ve been working on for the past 8-10 years or so. I think what threw Superhl off was the term “minimally invasive”, which many people in the HT community automatically equate with some form of HT surgery. Absolutely nothing new here. This is nothing but a new Tweet about Replicel’s cell-based HM procedure, that we all know about already.